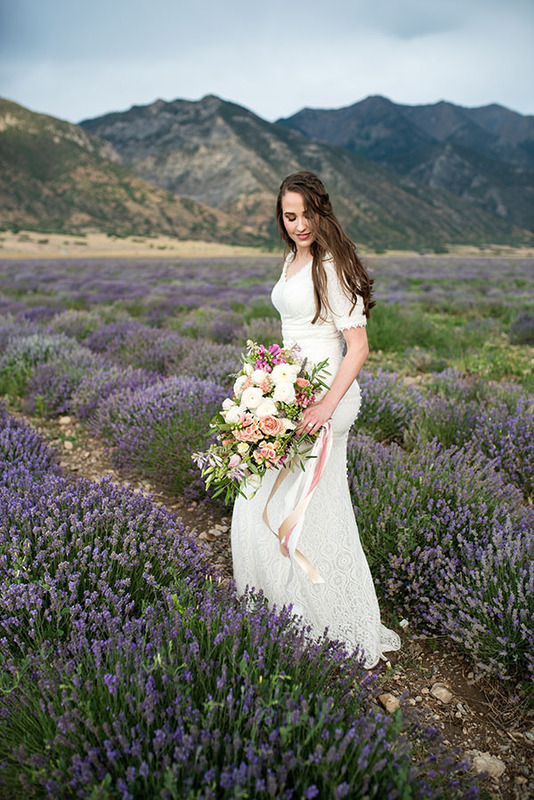 And they called it purple love. 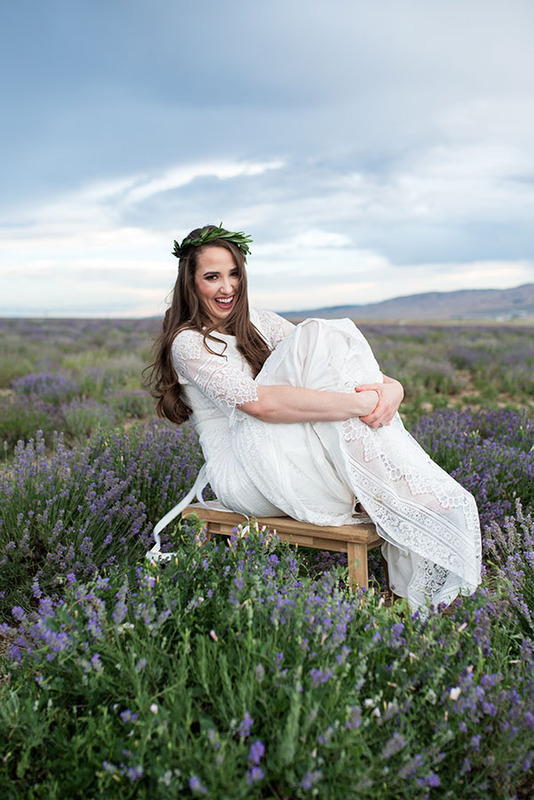 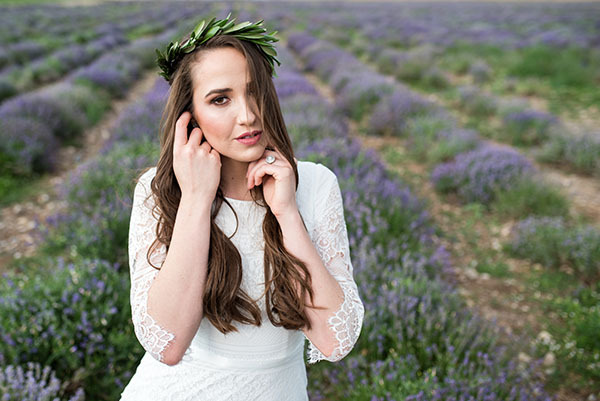 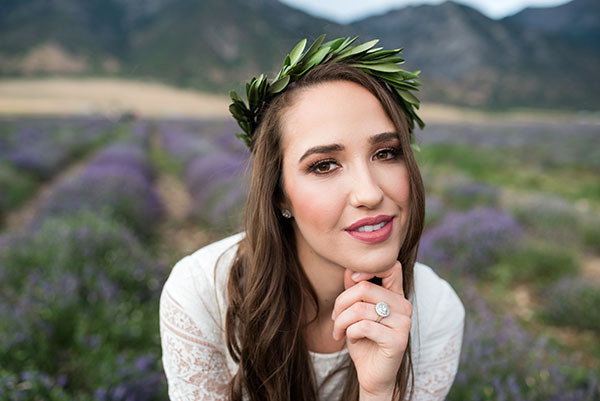 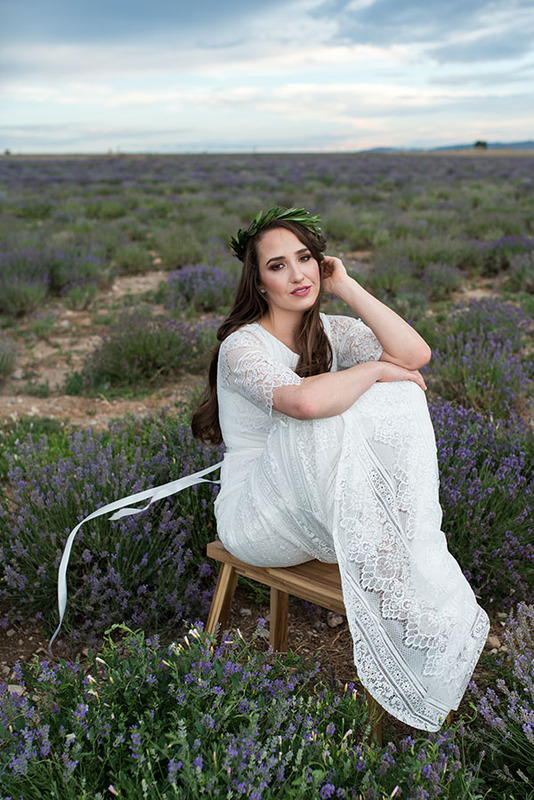 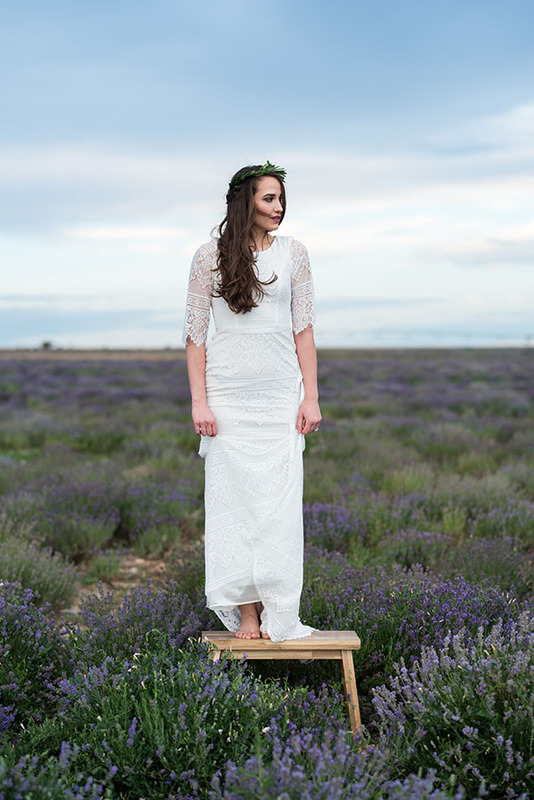 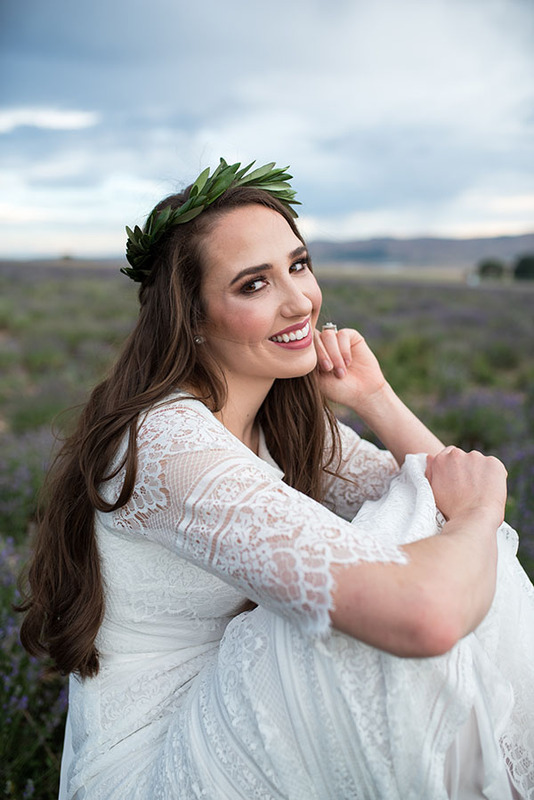 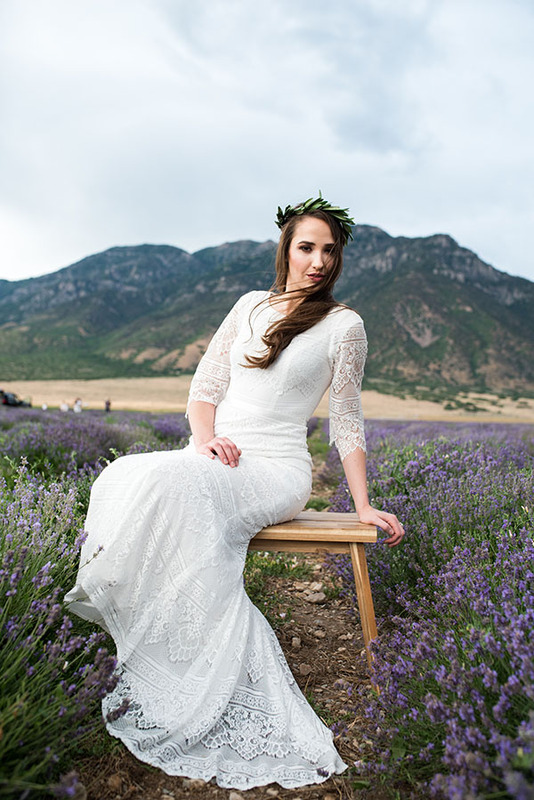 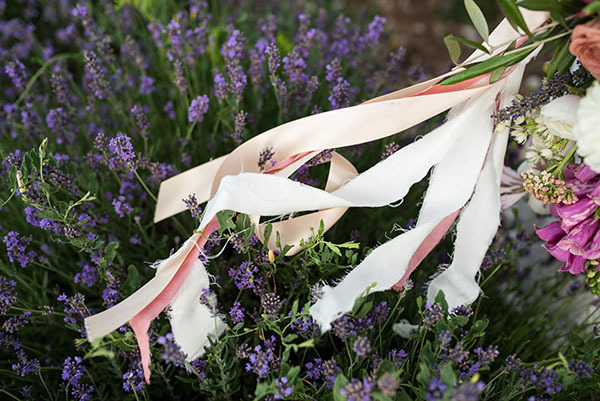 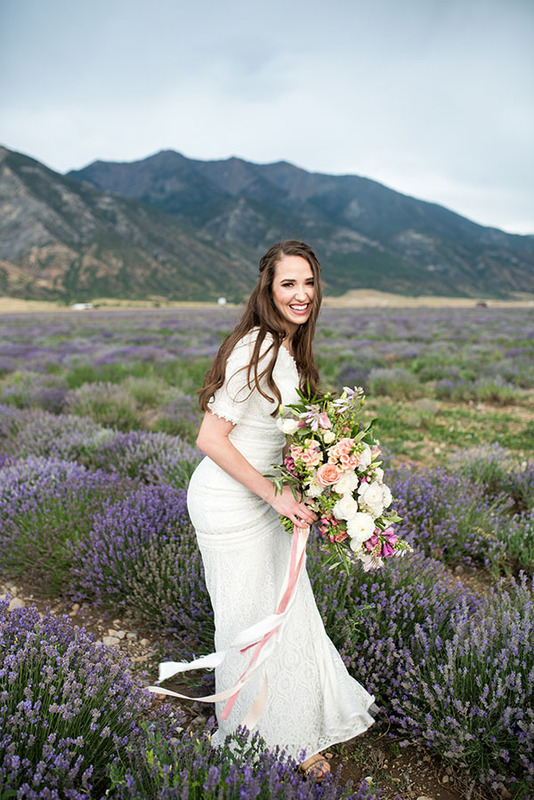 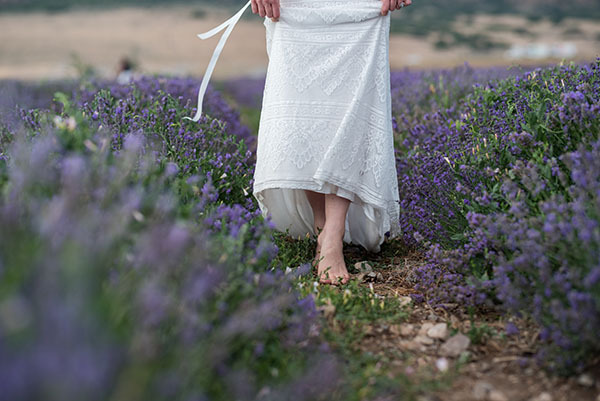 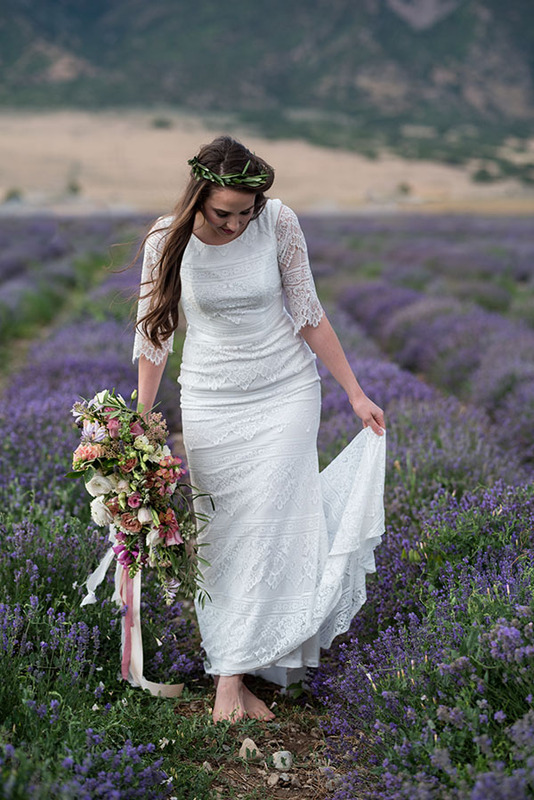 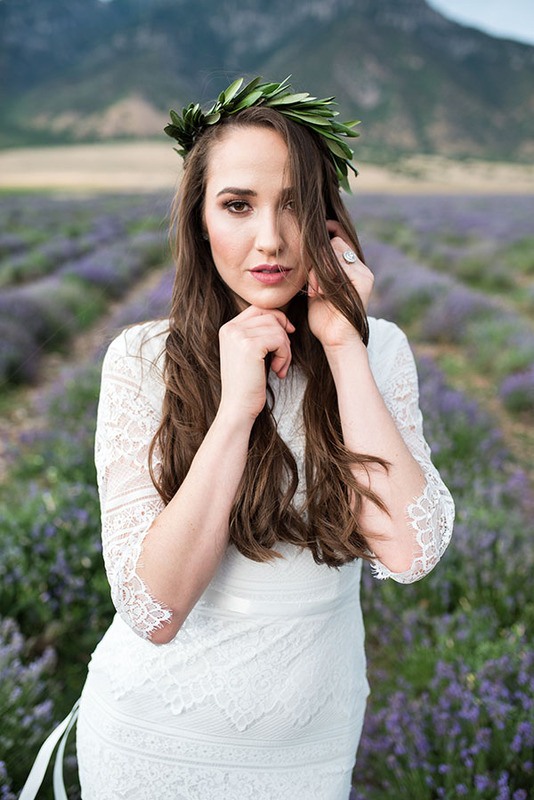 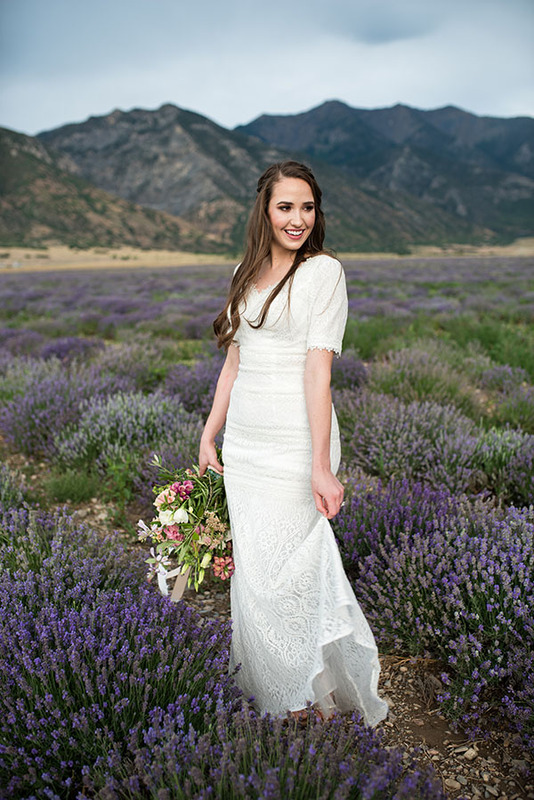 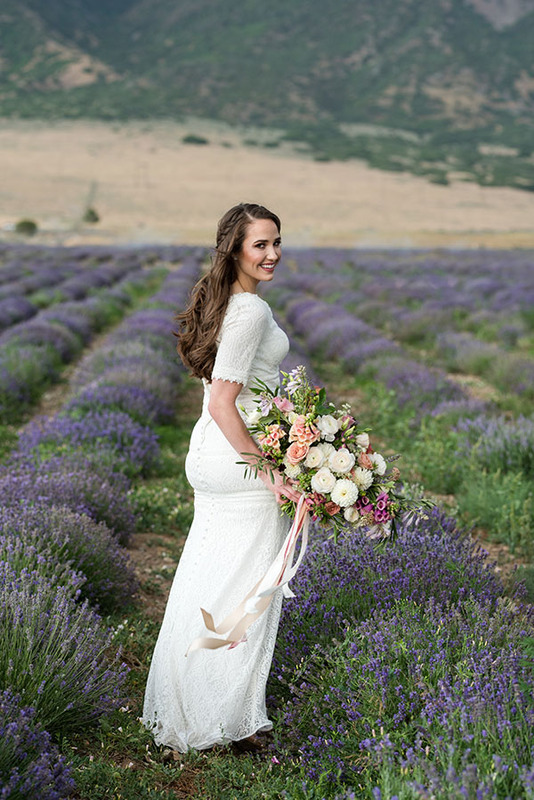 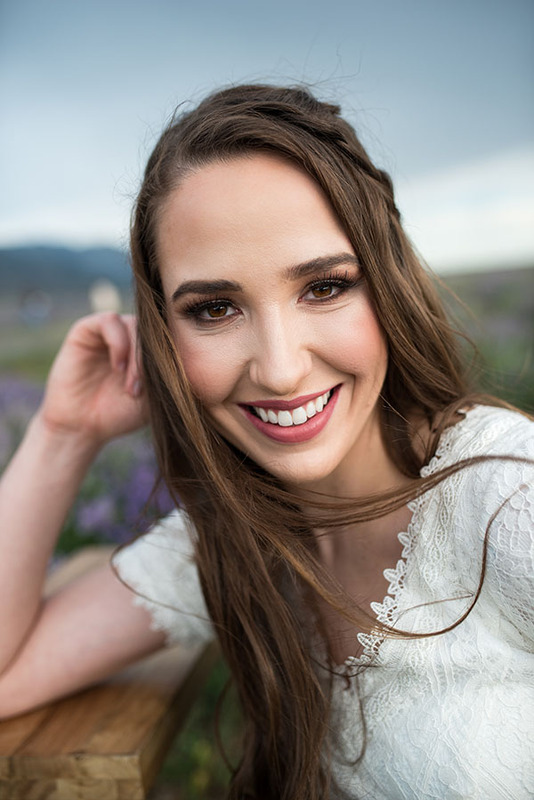 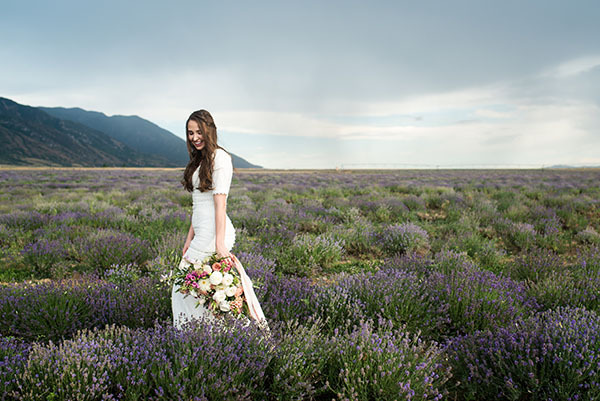 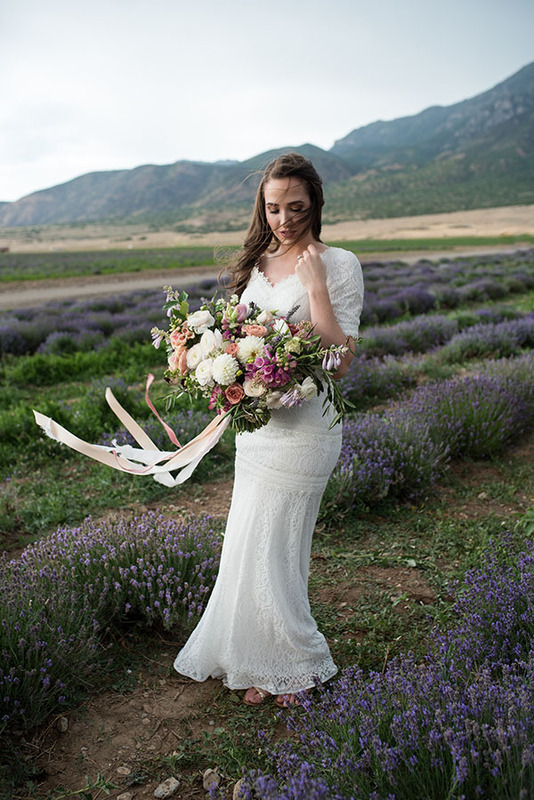 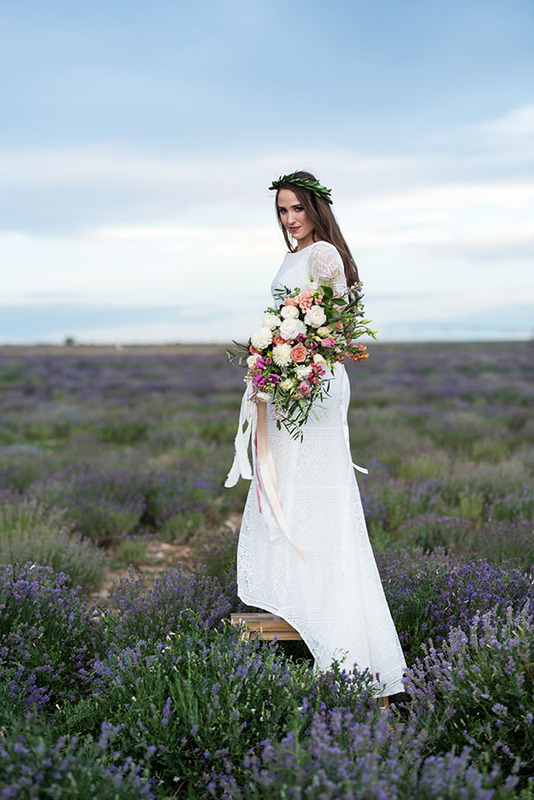 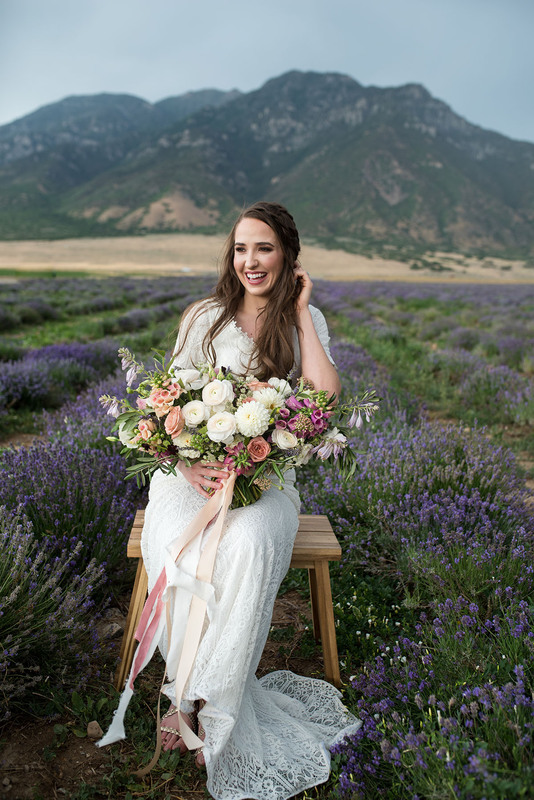 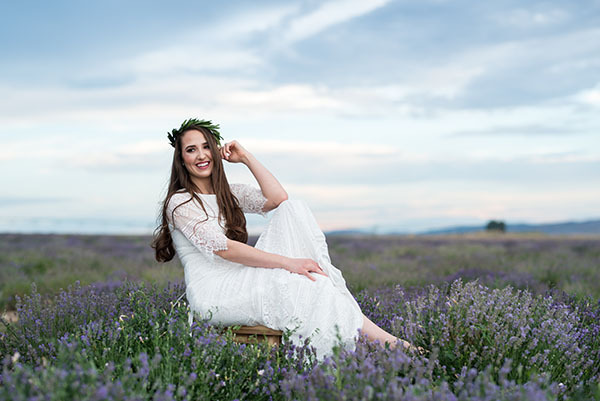 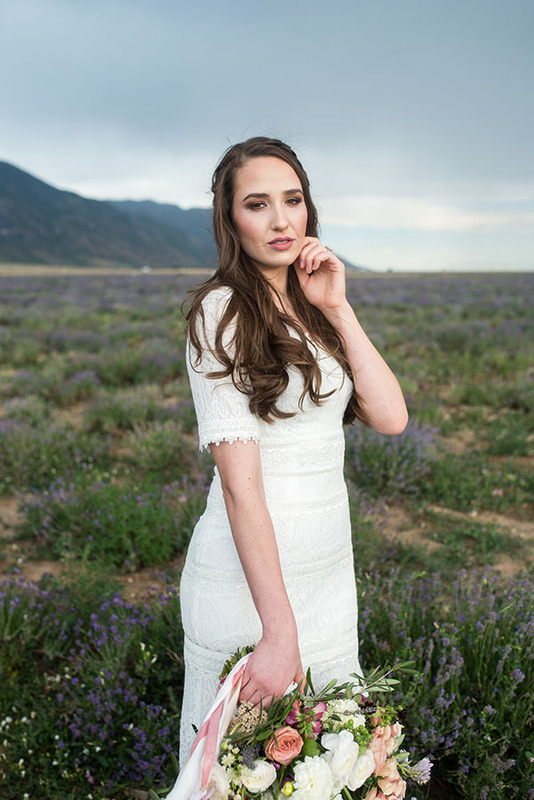 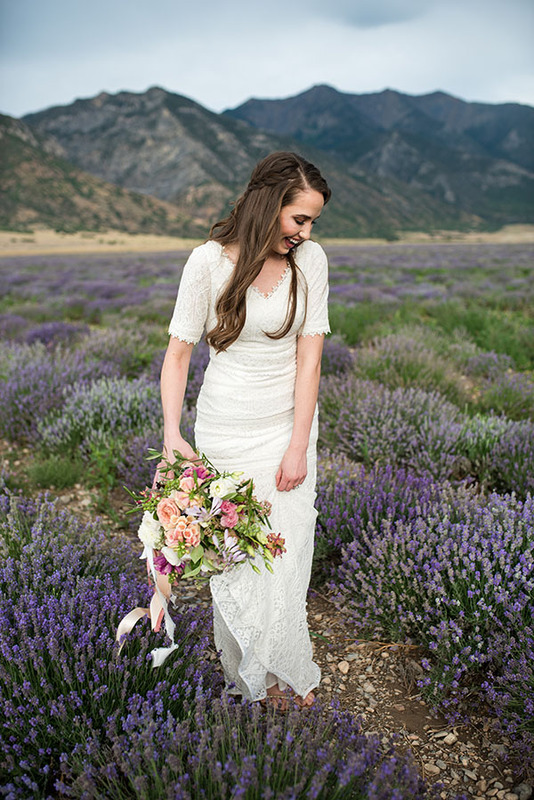 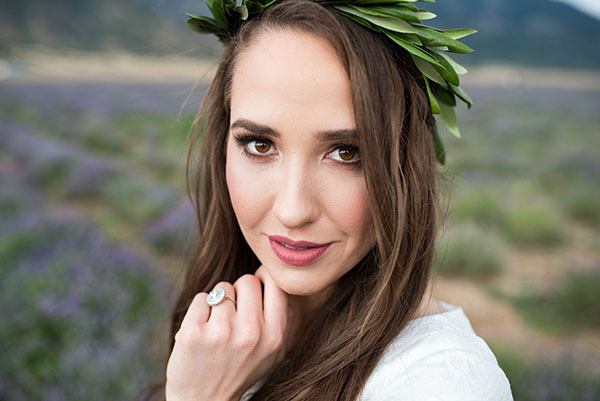 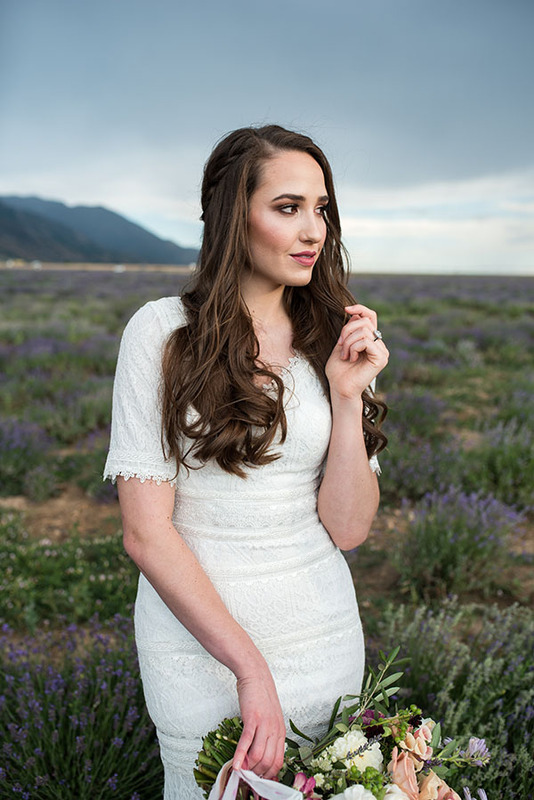 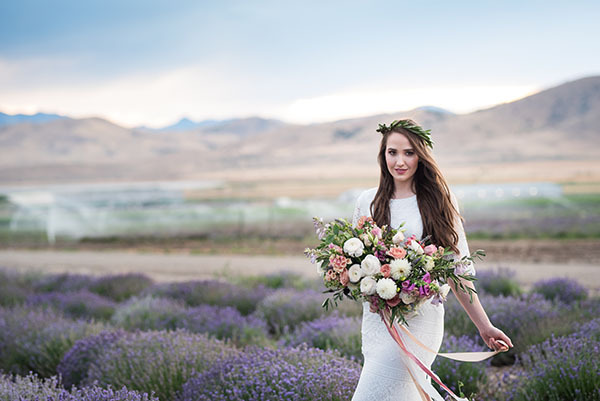 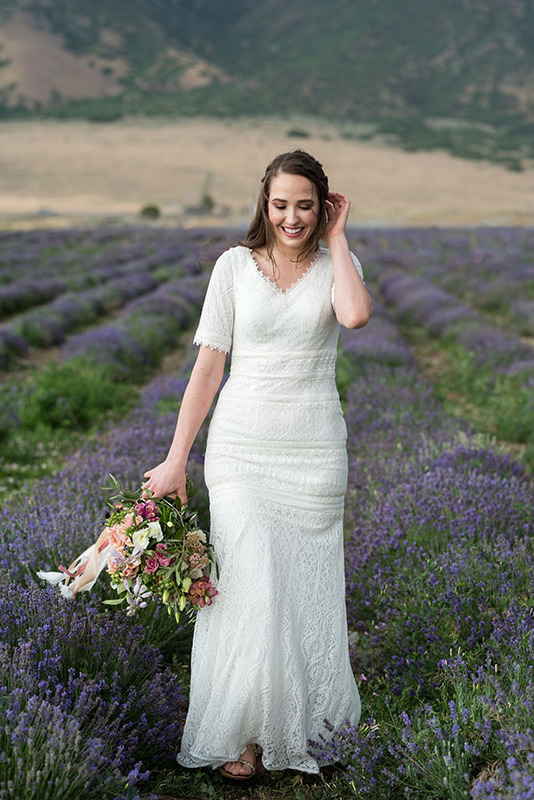 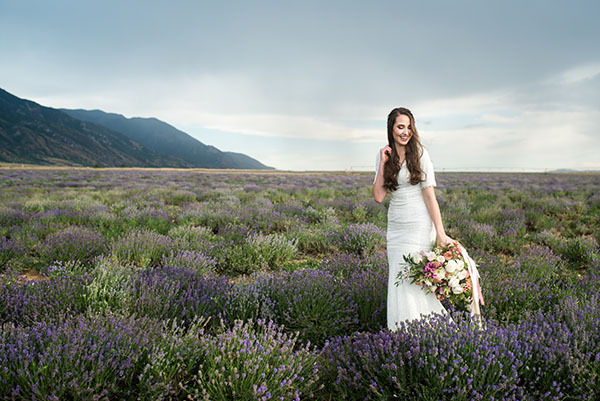 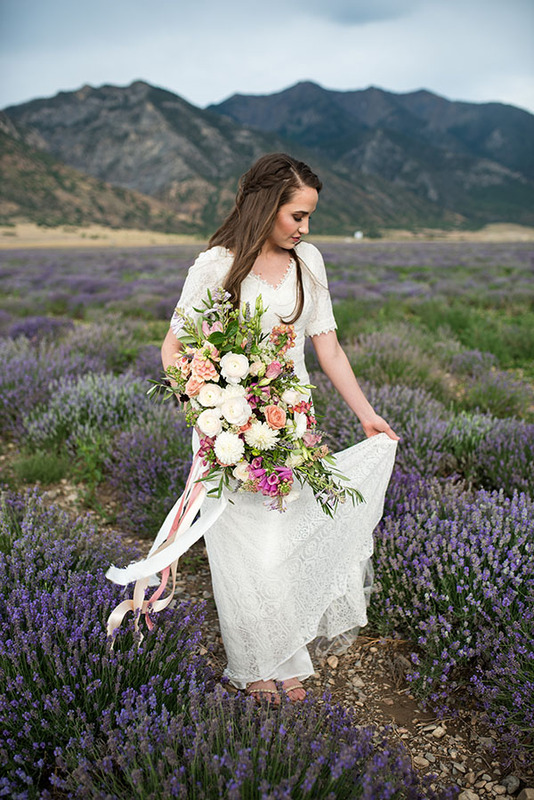 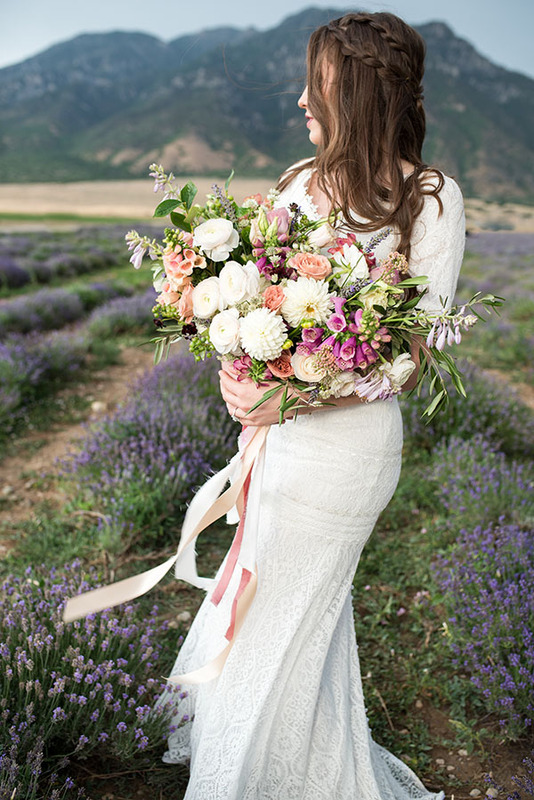 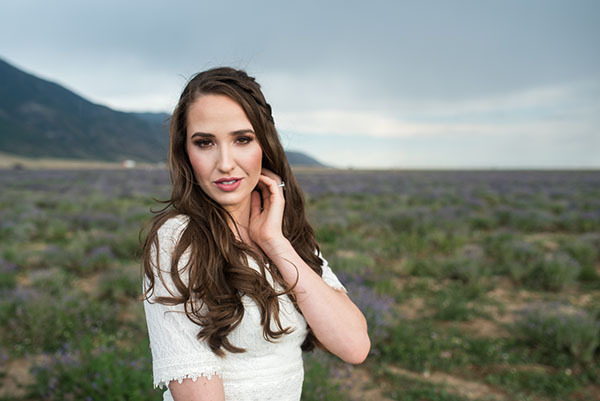 Our adoration for the Young Living Lavender Farms in Mona knows no bounds. 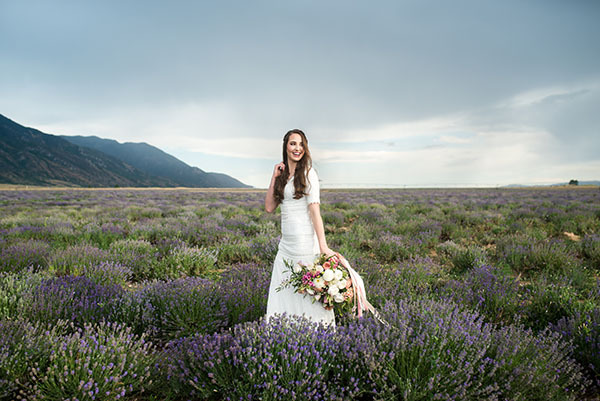 From the glorious grounds to the majestic mountains to the stunning sky, every viewpoint is a wonder. 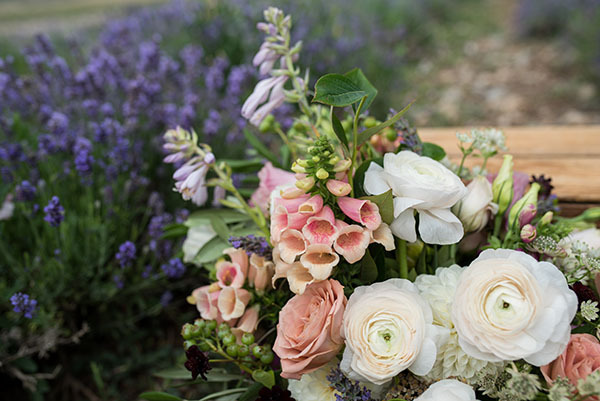 And today’s inspiration — put together by a terrific team of vendors — proves exactly that. 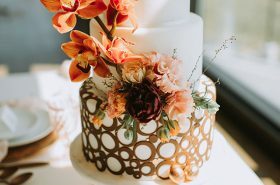 We are obsessed with the details. 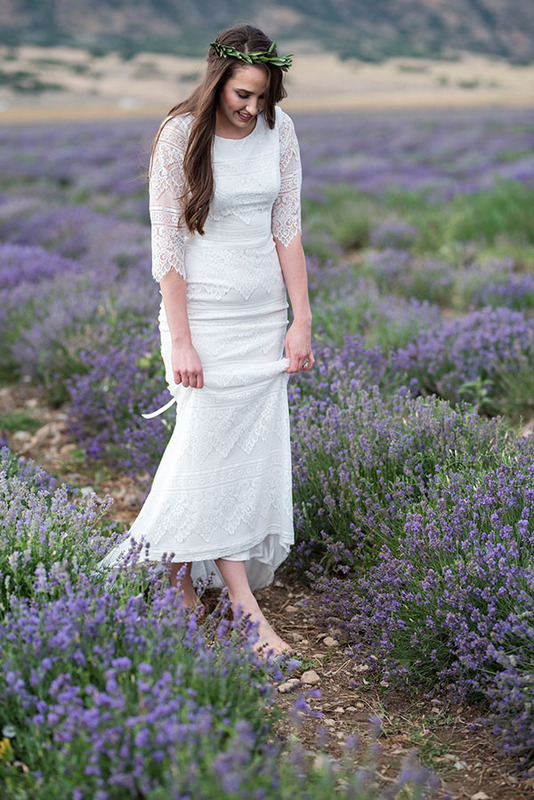 The gowns from Modest by Mon Cheri are divine. 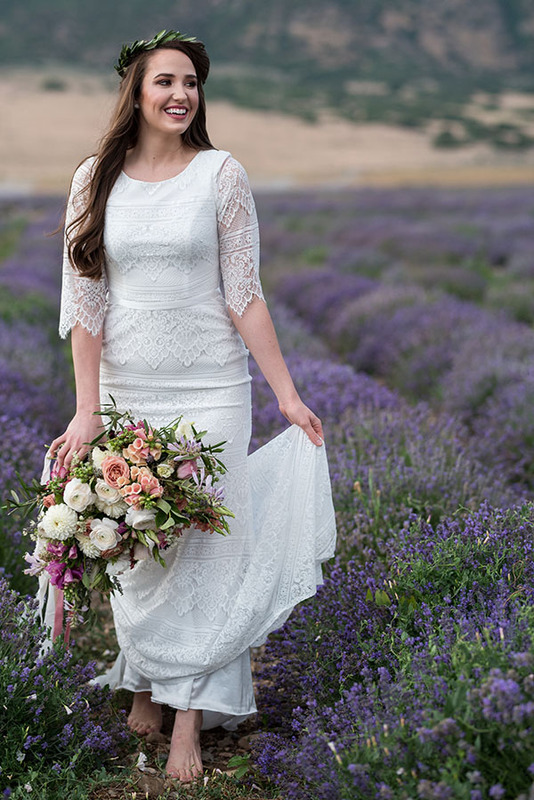 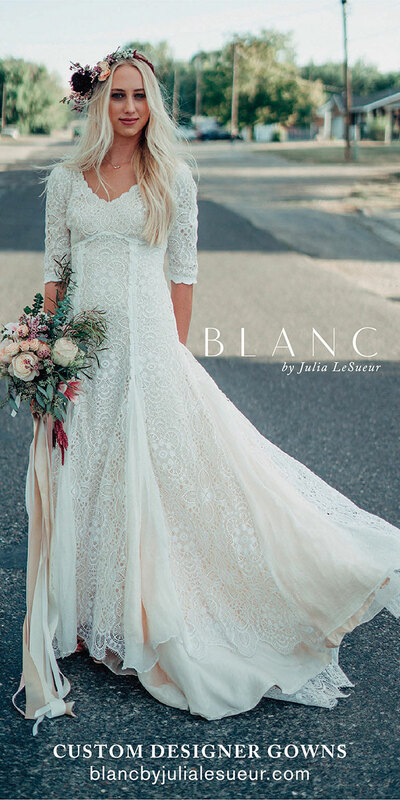 We love the shape, the lace, the sleeves, and the attention to detail. 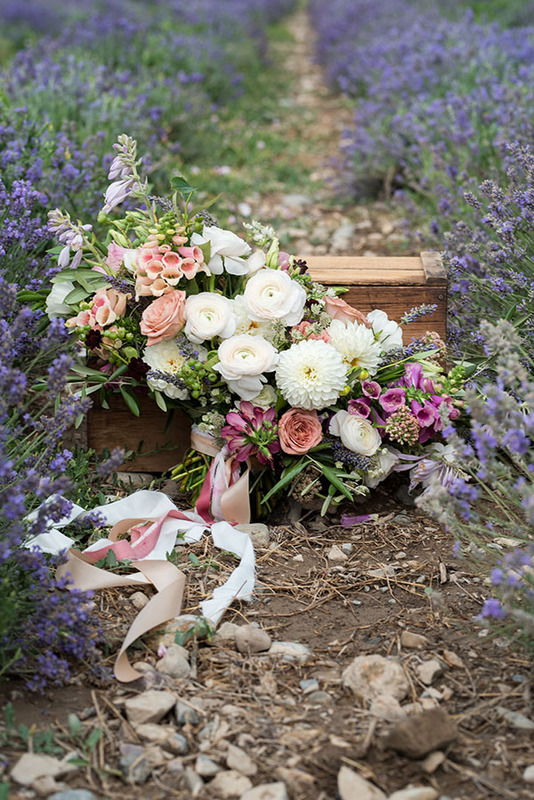 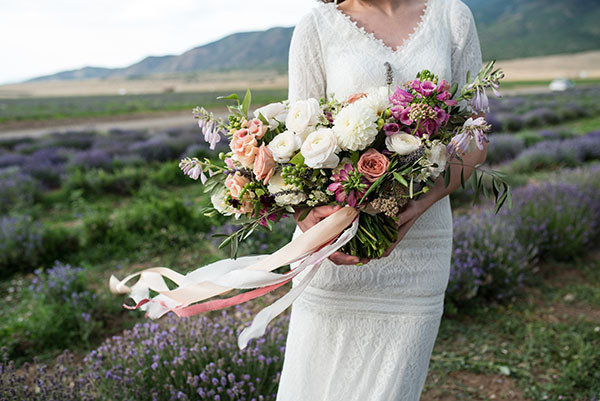 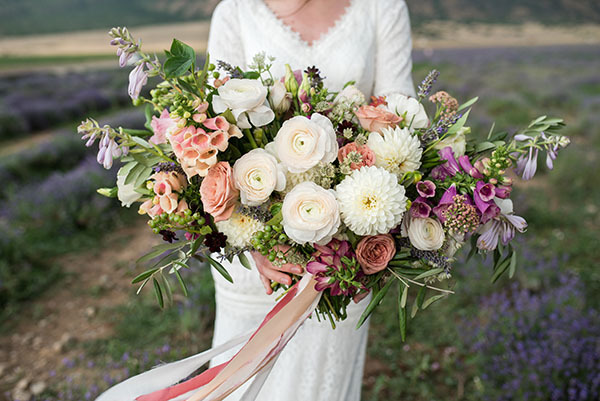 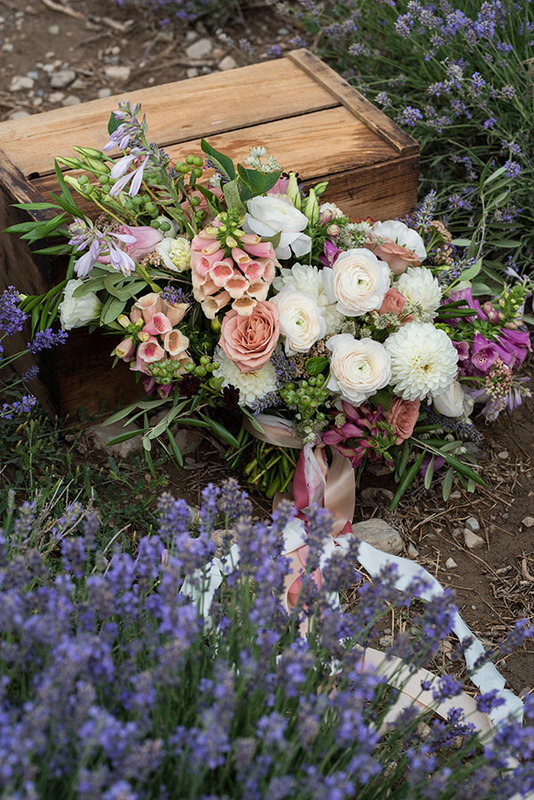 The bouquet by Floral and Fauna Design Co. is a stem stunner with its big, bodacious blooms. 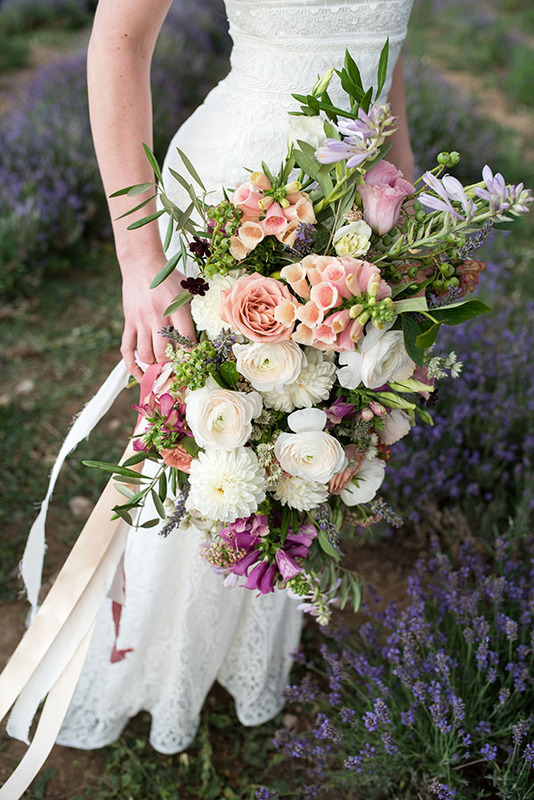 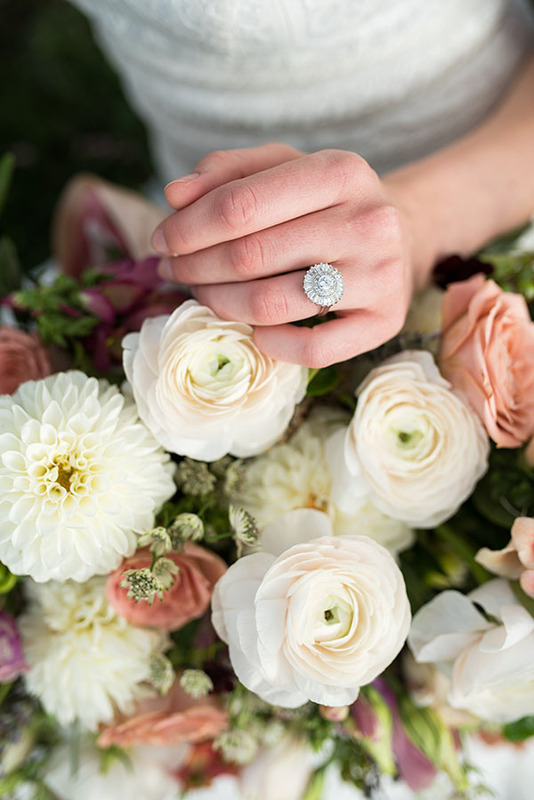 We want to have and hold that bouquet forever (and ever). 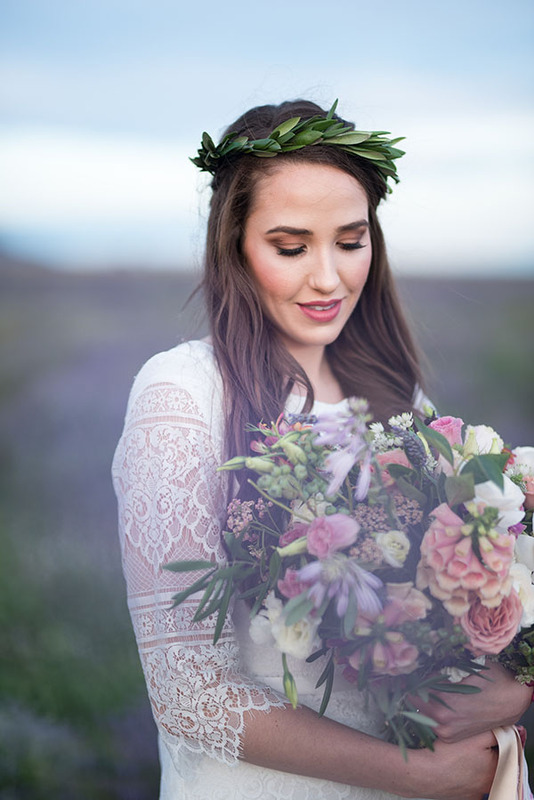 The styling by Heather Dear Artistry is perfectly on point. 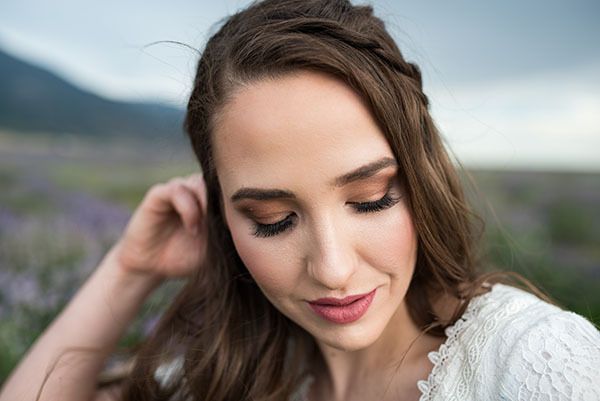 It’s that natural glam we adore so much. 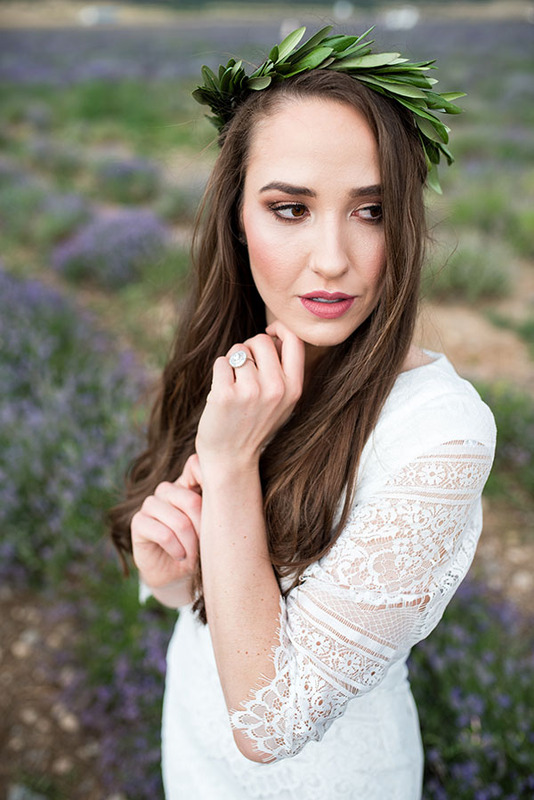 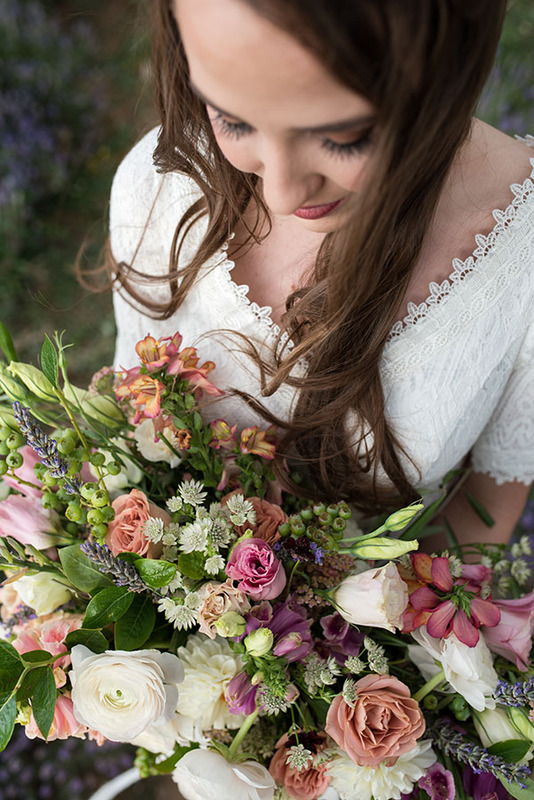 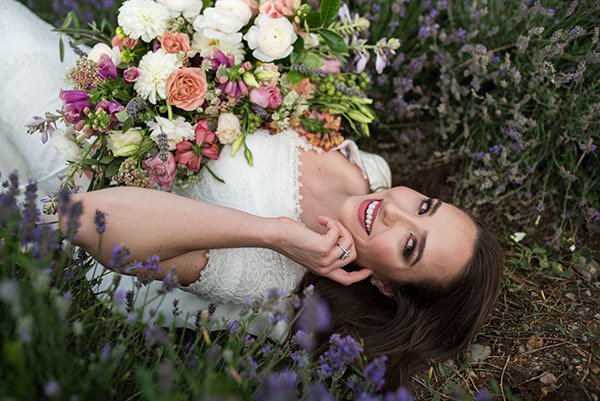 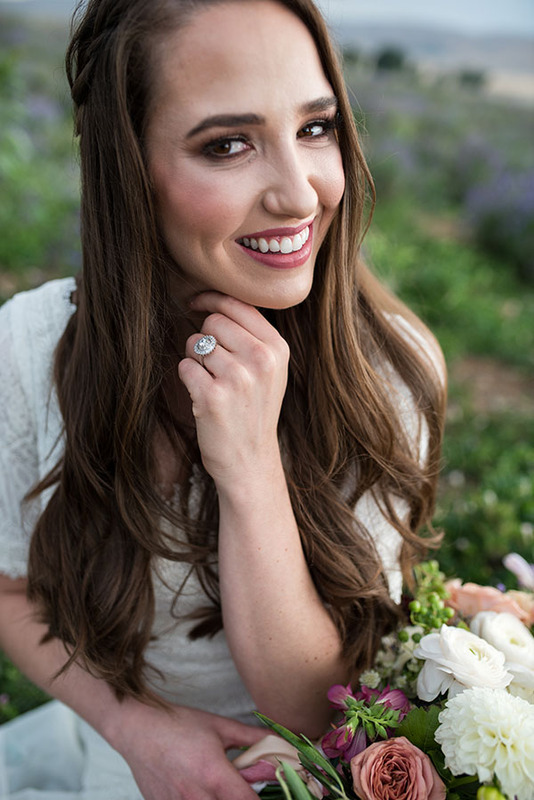 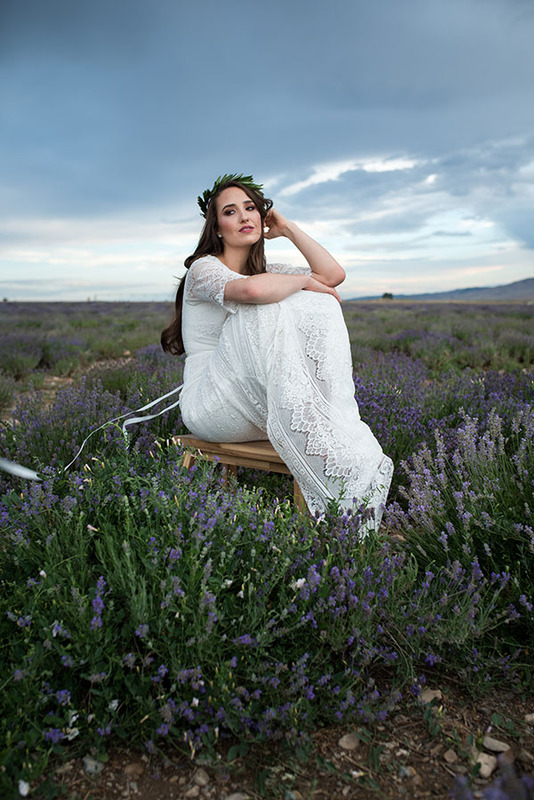 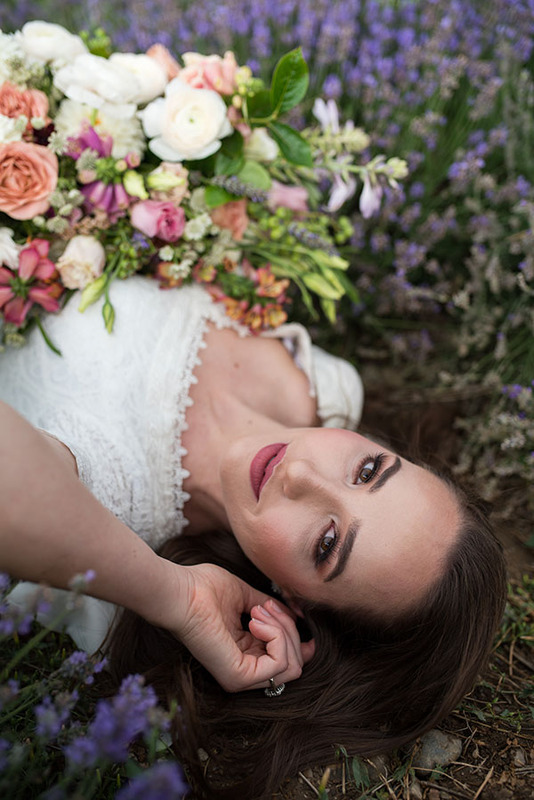 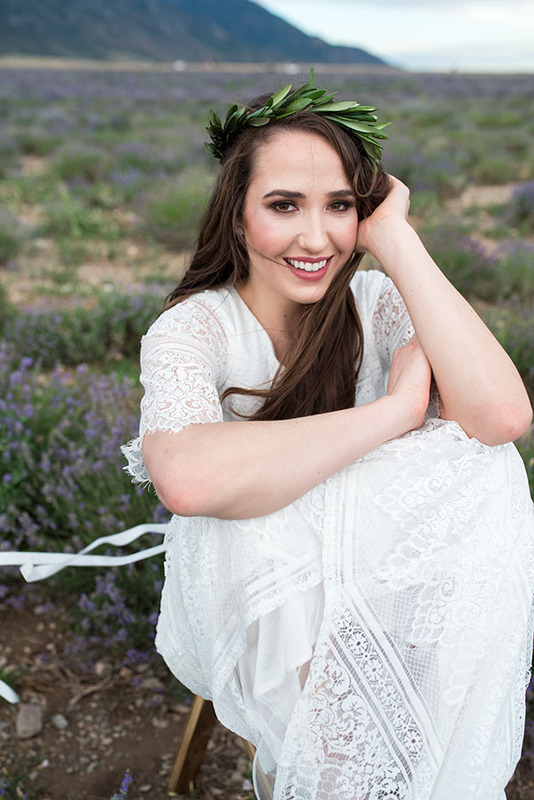 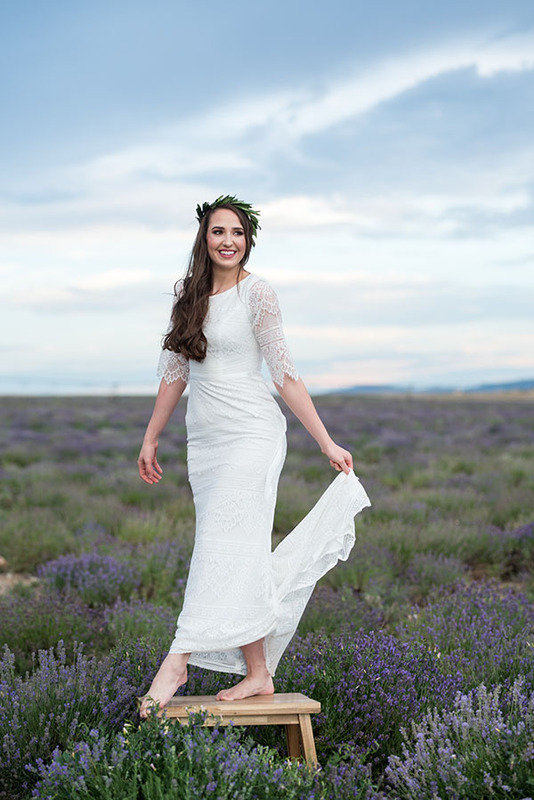 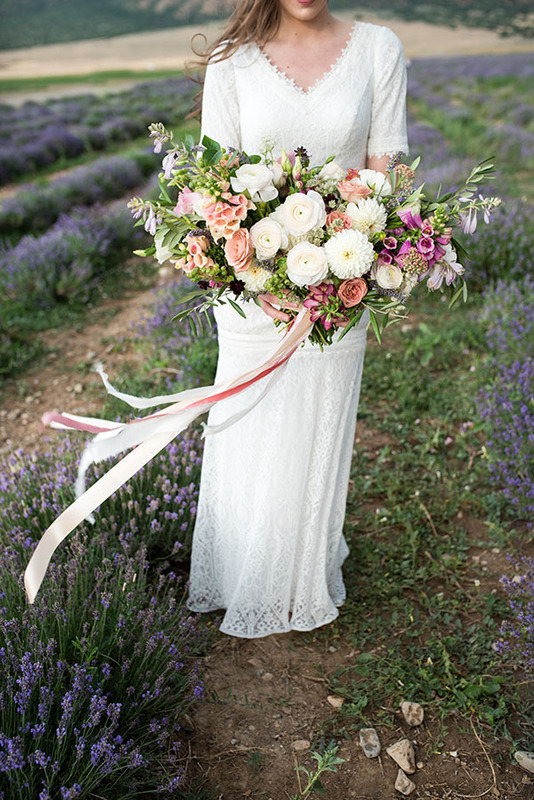 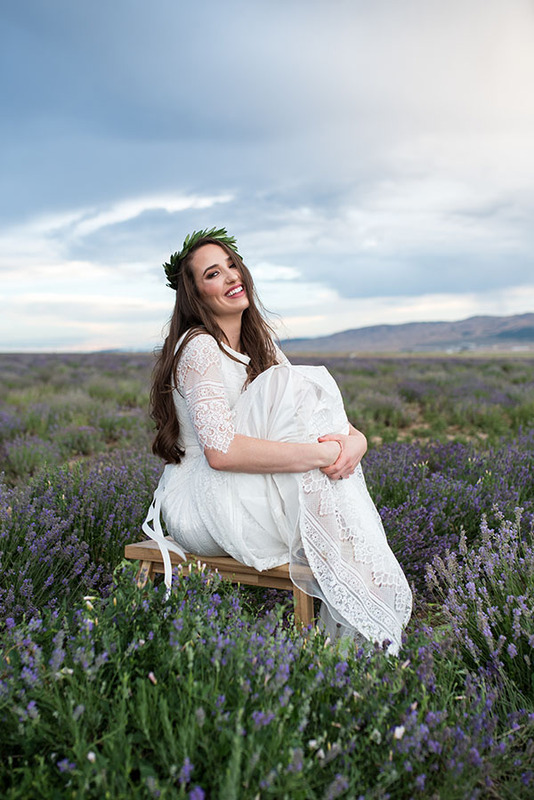 And the images by Flying Gull Photography are sweet, serene, and gorgeously happy. 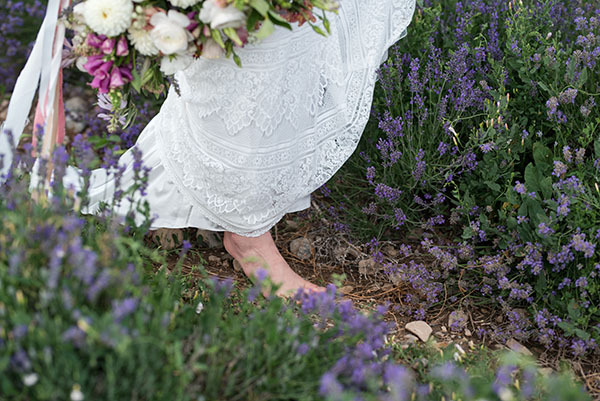 Come scroll for a stroll, friends! 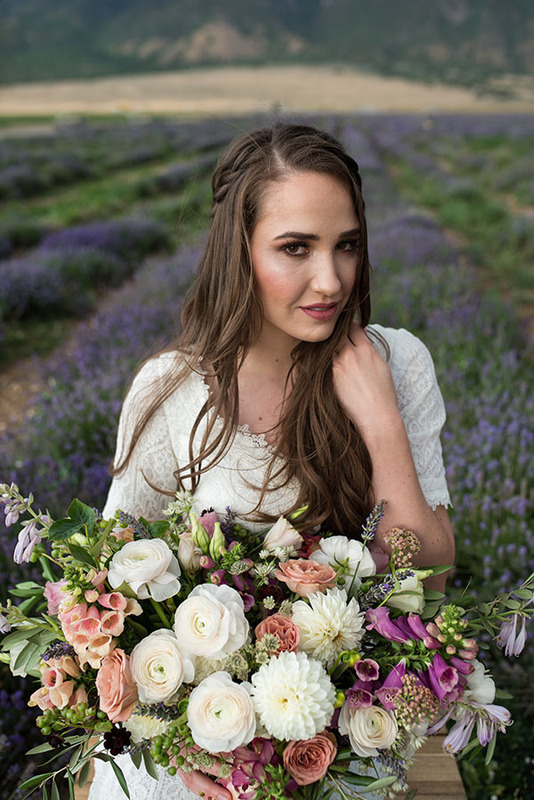 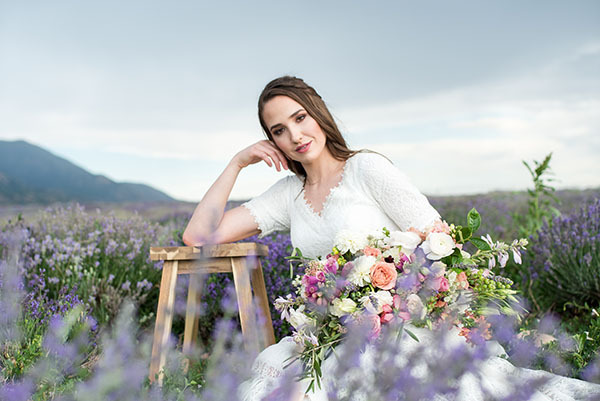 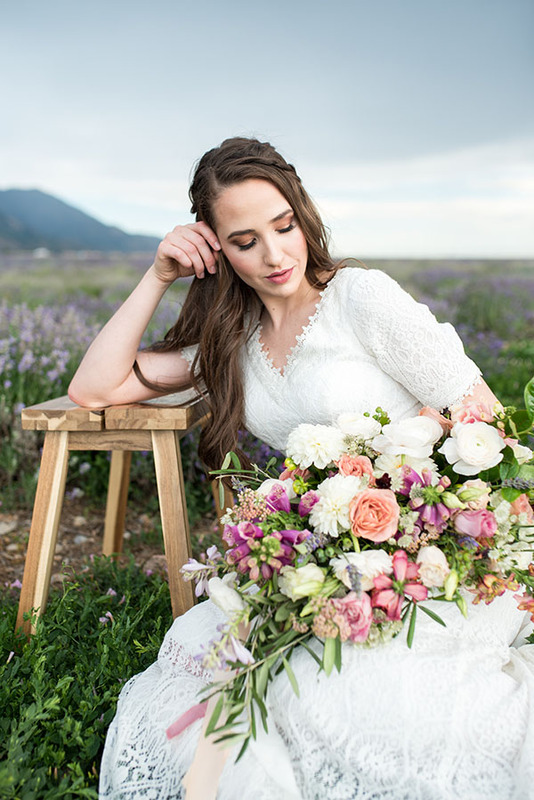 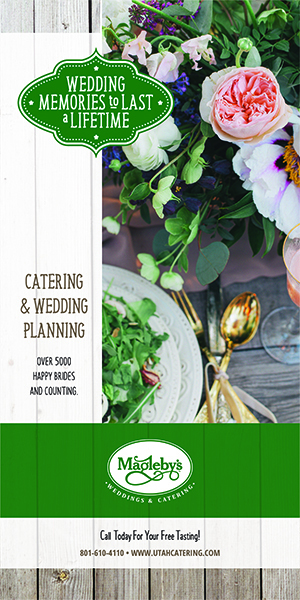 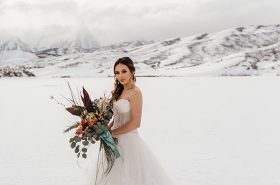 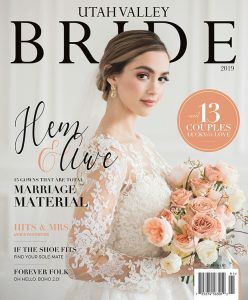 Floral Floral and Fauna Design Co.